PortableApps is one of the best website to offer portable version of popular software [For starters: portable software do not require installation, just unzip or extract them and start using program]. 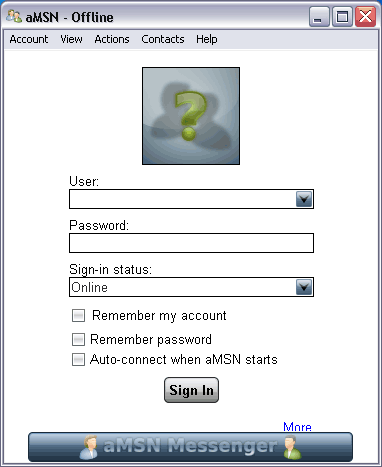 aMSN is a free open source MSN Messenger clone in portable format. With this you can chat or video chat with MSN friends while on the move. 1. Sign in to more than one account at once. 2. Has normal and animated emoticons with sounds. 3. Offline Messaging, Voice Clips and display pictures. 4. Full-speed File transfers and Group support. 5. Conferencing, Webcam and tabbed chat windows support. 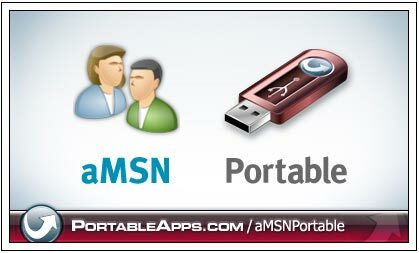 Download portable MSN messenger client and start chatting anywhere on the move. After downloading the package, extract it into specific folder and double click MSN icon to launch the instant messenger client. It will be very similar to usual installable IM client.